Request our Official Southern Arizona Relocation Package. Sign Up for our MyOwnArizona Team Southern Arizona Real Estate Newsletter. • COMMERCIAL REAL ESTATE NEW ON THE ARMLS MARKETLINX MARKET! • COMMERCIAL SALE PRICE CHANGED TODAY ON ARMLS MARKETLINX MARKET! • HOMES LISTINGS NEW ON THE ARMLS MARKETLINX MARKET! • HOMES PRICE CHANGED TODAY ON THE ARMLS MARKETLINX MARKET! • LAND LISTINGS NEW ON THE ARMLS MARKETLINX MARKET! • LAND PRICE CHANGED TODAY ON THE ARMLS MARKETLINX MARKET! • Gracias por tomarse el tiempo para solicitar una búsqueda de las características MyOwnArizona Nuevo! 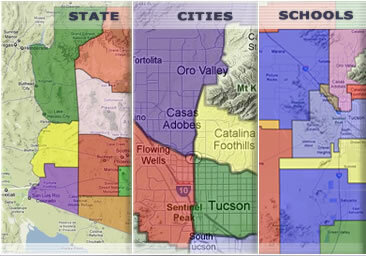 Contact us at: info@MyOwnArizona.com for Tucson & Southern Arizona real estate. * Site updated twice daily. © Copyright 1995-2014. OwnArizona LLC. Tucson Real Estate. Oro Valley Real Estate. All Rights Reserved.